A new industry is taking shape – and Scotland has the opportunity to play a key role in it. 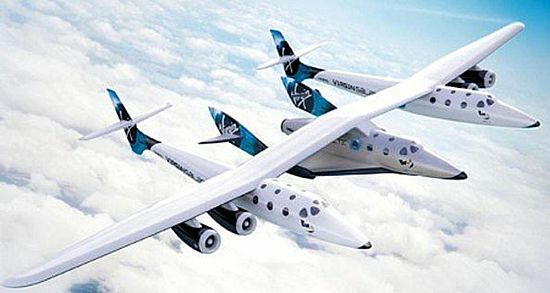 Space travel – for long the preserve of the big national agencies – is opening up on a commercial basis. Various companies are developing new designs of spacecraft to take people and cargoes into space. The new rocketplanes are more versatile than the massive three-stage rockets whose lift-offs are so familiar: the rocketplanes will use conventional runways. These developments are coming at an important time for the UK’s satellite manufacturers. The UK is a world leader in the satellite business, with a particular strength in small satellites. Scottish companies are already to the fore in providing components and systems for satellites, particularly small satellites, and the first Scottish-built satellite is about to be launched. But the UK has no satellite launch facilities of its own – a striking gap for a country with such a global presence in the satellite sector. UK satellites have to be sent to other countries to piggyback on their launch systems. The UK Government has now targeted as a priority the establishment of a UK spaceport by 2018. And this is where Scotland comes in. Three Scottish sites are in the pool of five from which the UK's spaceport will be chosen, with Prestwick a clear front runner, although Newquay in Cornwall is making a strong case. An operational spaceport would provide the whole of the UK, and indeed European neighbours as well, with a key piece of infrastructure for the aerospace industry. Aerospace is recognised as a growth area for the UK economy, with a track record of growth and clear potential for the future. Small and innovative Scottish companies have been establishing a presence in the sector and demonstrating their own potential. Spaceport Scotland is an initiative by people, companies and organisations in the north to stimulate interest in the possible use of a Scottish location for the UK's first operational spaceport. Such a development would have a huge significance for the economy of Scotland. It's not simply the skilled jobs, the opportunities for hi-tech supplies and services, and the boost for tourism. It's the spreading of the spirit of exploration and adventure that has so often been a driving force in science, technology, business and life. You can find out here more about what's going on in space and what could happen in Scotland.